Dr. Robert L. Gedeon, Jr. - Schwartz & Gedeon D.D.S., P.C. Using Modern Dentistry to Create a Healthy, Bright Smile. Dr. Robert L. Gedeon, Jr.
As a native of the Niagara Falls area, Dr. Gedeon graduated from Niagara Catholic High School in 1977 and Niagara University in 1981 and obtained his Doctorate in Dentistry from the University of Buffalo in 1985. Dr. Gedeon served three years as a commisioned officer in the U.S. Navy Dental Corps at San Diego, California. After completing his active duty in 1988, Dr. Gedeon started practicing General Dentistry in the Buffalo area. His past experience and numerous continuing education courses have enabled him to offer the latest and best techniques in caring for patients and their dental needs. Dr. Gedeon was the Commanding Officer of his unit and served as a Captain in the Naval Reserves until retiring in 2006 after 21 years of service. Dr. Gedeon and his wife Paula have a daughter, Bridget. The Doctor is an avid sports fan and enjoys golf and downhill skiing. He is a member of the Ancient Order of Hibernians, and the Knights of Columbus. Dr. Gedeon was a past president of the Niagara County Dental Society and current Executive Board member. 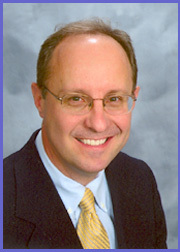 Dr. Gedeon was named the Main St. Business and Professional Association's Small Business Person of the Year for 2007. Dr. Schwartz and Dr. Gedeon are members of the American Dental Association, the Dental Society of the State of New York, the Eighth District Dental Society and the Niagara County Dental Society. Both have been executive board members of the dental societies.